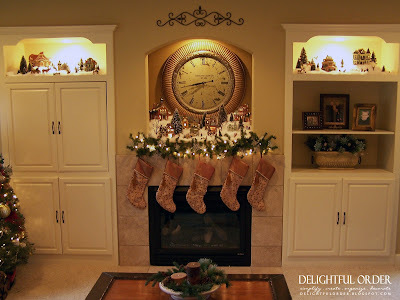 and the other part sits on the top shelves of my built-ins on either side of the fireplace. and I really liked how it turned out. This is the right side. Reason Being? - Another Tradition !! My husband and I started this tradition our very Christmas together as a married couple. We buy a new house or bigger item for each year that we've spent Christmas together. We're now up to twelve! I use the boxes that the houses come in to give different heights. 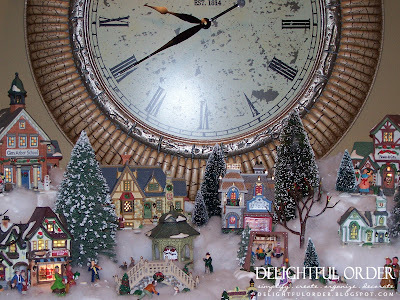 When we start pulling out our Christmas Decor Our Snow Village is, by far, the MOST EXCITING for the boys! Even more so than the Christmas Tree. So cool! I remember being completely fascinated by these tiny Christmas villages when I was young--one of my aunts had a row of houses on her mantel that I would look at in awe. 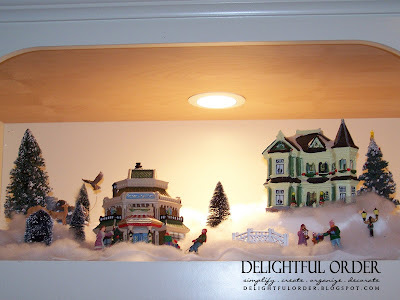 Our family tradition was to put up a Playmobile nativity scene with Roman soldiers, a stable, animals, and angels hanging from the ceiling. I love the little village. Now that reminds me of my childhood. Love your snow villages. So neat and beautiful. Your tree is lovely too. What a nice job! and what a nice tradition that is to collect a new house or pc. every year! Sweet! Is this a dept 56 village? it looks like it and I just love it, I am trying to start my own as well and hope for it to one day look as gorgeous as yours! Everything is so charming and delicate looking. I really like how your clock fills up the niche above your fireplace. 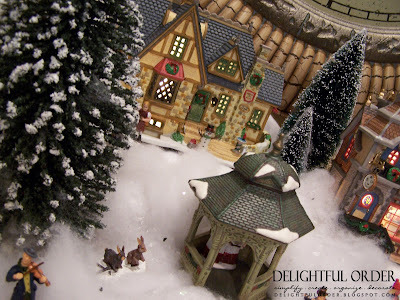 What a wonderful snow village collection! Your home is beautiful. Love how you have the clock in the alcove instead of a tv. I'm your newest follower and would be delighted to have you follow me back! What a beautiful collection! Your decorations look lovely! Thanks so much for all the lovely comments. I LOVE receiving each & every one of them. 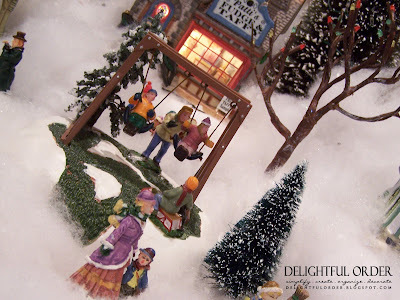 Most of my snow village pieces are from the "Carole Towne Collection." 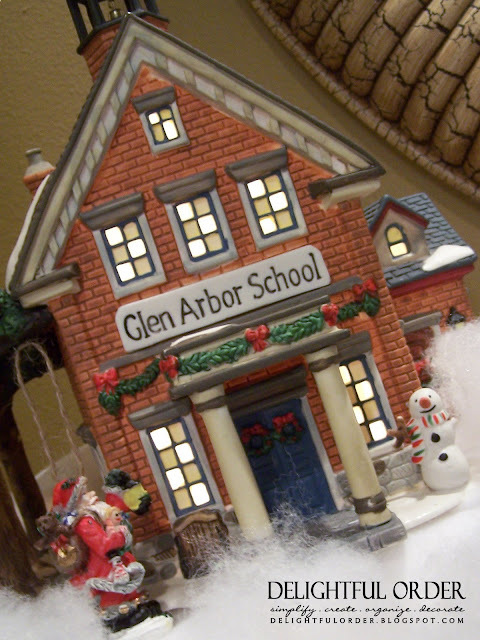 It looks just beautiful, and this is a wonderful tradition. I like your idea of utilizing the boxes to create the landscape. Happy Pink Saturday. I am glad you joined us today. What a beauty you have. 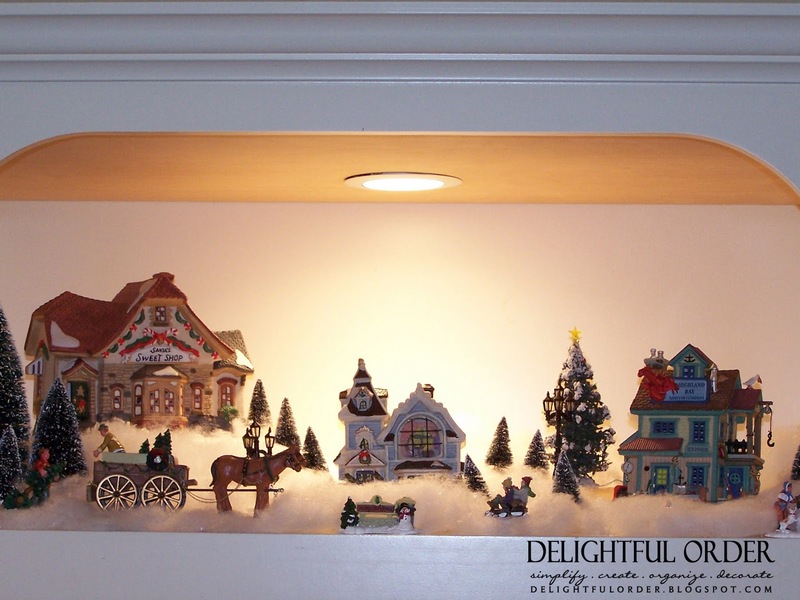 I love the over all balance of your mantle with the side bars of Christmas villages. May the season bring you beauty and joy beyond measure. Thank you for sharing your Snow Village with us. It really makes you get more into the holiday spirit. I think that is the same one my sister has. She leaves hers out all the time. I loved all your photos. Happy Pink Saturday. 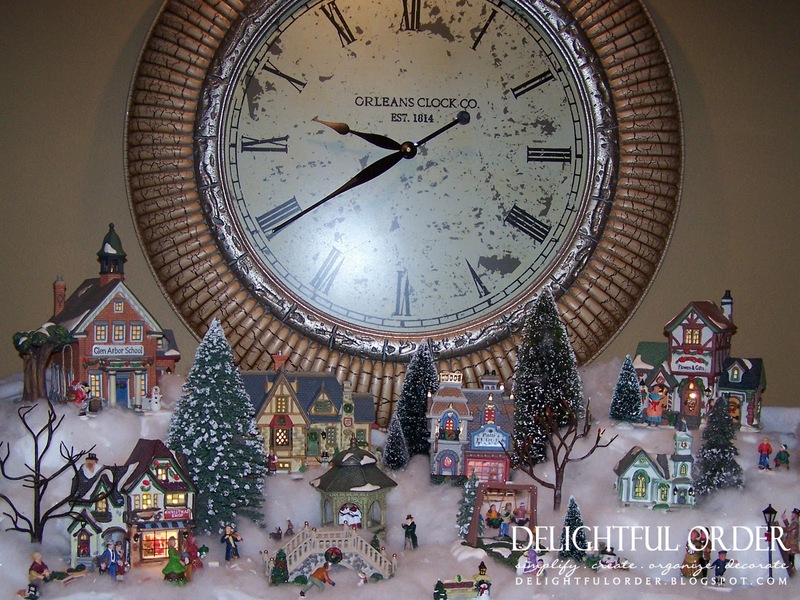 I love your Christmas Village, it looks great on the shelves and niche! I didn't get time to get mine out this year! I am stopping by via Sunday Showcase. Love the villages!! We love going to the local garden center and looking at their Christmas village display every year. IT's huge! I have a few houses that I put up.